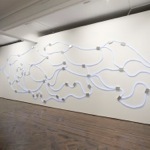 Rafael Lozano-Hemmer - Project "Less Than Three"
There are two versions of the project: a large version that uses white light emitting diode (LED) strips that can be installed indoor or outdoor and a small version using red electro-luminiscent (EL) wires. 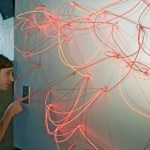 Keywords: indoor, interactive, lights, outdoor, sound, recorder. 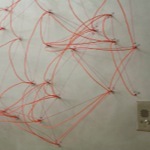 Laboratori d'Interacció. 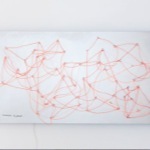 Els sentits de les màquines (I/O/I), Disseny Hub IDAT, Barcelona, Spain, 2011 - 2012. 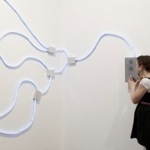 Art Basel Miami Beach, Galería OMR, Miami, Florida, United States, 2010 (electroluminescent wire version). 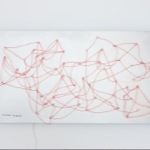 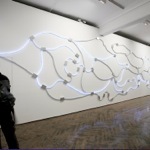 Transition States, Haunch of Venison, New York City, New York, United States, 2009 (electroluminescent wire version). 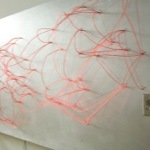 Inpoliticos, Palazzo Art Napoli, Naples, Italy, 2009 (electroluminescent wire version). 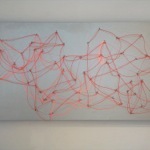 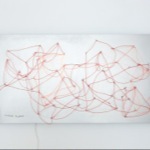 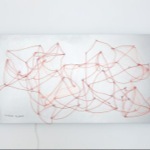 Recent works, Galerie Guy Bärtschi, Genève, Switzerland, 2009 (electroluminescent wire version). 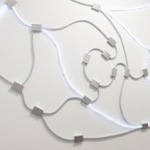 Rafael Lozano-Hemmer, Haunch of Venison, London, United Kingdom, 2008 (LED strips & EL wire versions). 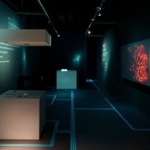 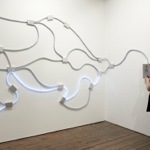 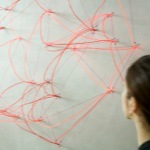 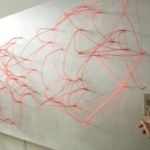 Rafael Lozano-Hemmer, bitforms gallery, New York City, New York, United States, 2008 (electroluminescent wire version).